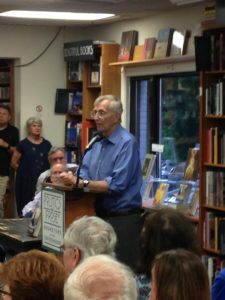 Hersh has been making the rounds to promote the memoir, including a recent visit to the Washington, D.C., bookstore Politics & Prose. In a piece for the Los Angeles Review of Books, Tom Stevenson looks into the lives of Egyptian dissidents under the US-backed dictatorship in Egypt. The report uncovers the extreme intimidation, surveillance, and repression the Egyptian government uses against dissidents, who nonetheless continue to challenge the state despite ever harsher conditions. James McNair examined 10 years of public data on behalf of the Ohio Center for Investigative Journalism. He found a strong correlation between the amount of campaign contributions and the revenue received by law firms doing collection work for the state attorney general’s office. What’s more, the data showed that debt collection firms who hired lobbyists got more money. 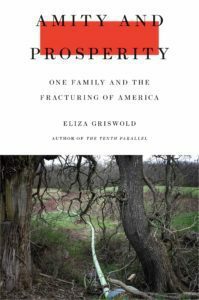 Eliza Griswold examines the fracking boom in her book “Amity and Prosperity: One Family and the Fracturing of America.” In an essay for the New York Times, Griswold addresses a concept called “the resource curse” in her book. In her essay, she asserts that the subjects of her book, who live in a resource-rich part of the rural United States, suffer from many of the same structural pressures and disadvantages as people living in countries that most Americans think of as less developed.